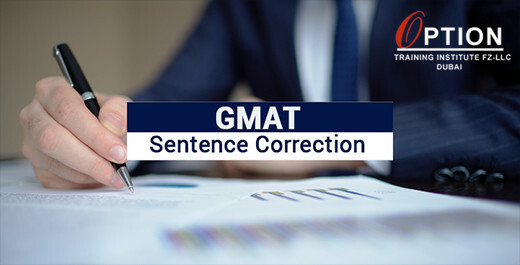 This is going to surprise (and maybe annoy) many who have been struggling to get round the devious sentence correction questions the GMAT throws up on the screen. But as an enthusiastic GMAT trainer with eons of experience behind me, I feel it is my duty to ask some of those struggling whether they actually have given the ‘non grammar’ aspects of the SC questions due thought. No amount of grammar learning and no number of questions solved gives the edge to your prep unless and until you work on the clever little ninja moves that afford you not only greater flexibility but also more intimidating skills. First and foremost, stop focusing on the underlined portion. Most test takers seek to correct the ‘error’ in the underlined portion by giving all the time to that portion. The trick is to read the non-underlined portion with diligence and to pick from it the ‘key’ words/concepts – the subject, verb tense, verb number, verb voice etc. The non-underlined part of the sentence gives you enough hints to build your strategy on. If nothing else, understanding the non-underlined and keeping a keen eye on the important vibes from it can definitely help you eliminate 2 or 3 answers. Remember also that the GMAT has a coherent policy on answer choices. If there is no error in the original sentence, then the answer will always be A even if there is another right answer, say D. Which means that you have more than one right answer only when A is right and when A is right, all other answers are ‘not right’- either because they actually are grammatically wrong, or because they have lost to A!!!! The focus then should be on discerning whether the underlined of the original sentence needs correction (or not). Learn to anticipate what kind of error the sentence is heading towards. For example, if the underlined part of the sentence is starting at the verb, it is very likely that the answer choices will expect you to pick between a singular verb and a plural verb or a past simple or a present simple or a past perfect verb tense. Clearly you need to travel back from the underlined verb and trace ‘what’ noun/subject the verb is being used for and whether the ambient content is in present tense or past. To put it succinctly, watch your step! Watch your step! Well that kind of should be your rule for the entire test. Give time to improving your idiomatic ear! Oh YES! 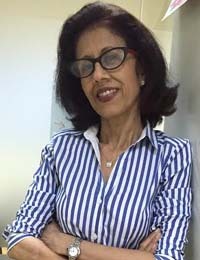 For non-native speakers of English, the idioms can be a real challenge but if you are preparing for the GMAT and are looking to nail the test, remember that having the idioms (at least GMAT’s favorite ones) under your belt will prove to be a great asset in quickly eliminating the answers that violate the idiom (eg: regard to be/ability for doing/seem like) or picking the ones that obey it (regard as/ ability to do/seem to). Hope this has got you thinking. ALL THE BEST- enjoy your prep!!! !